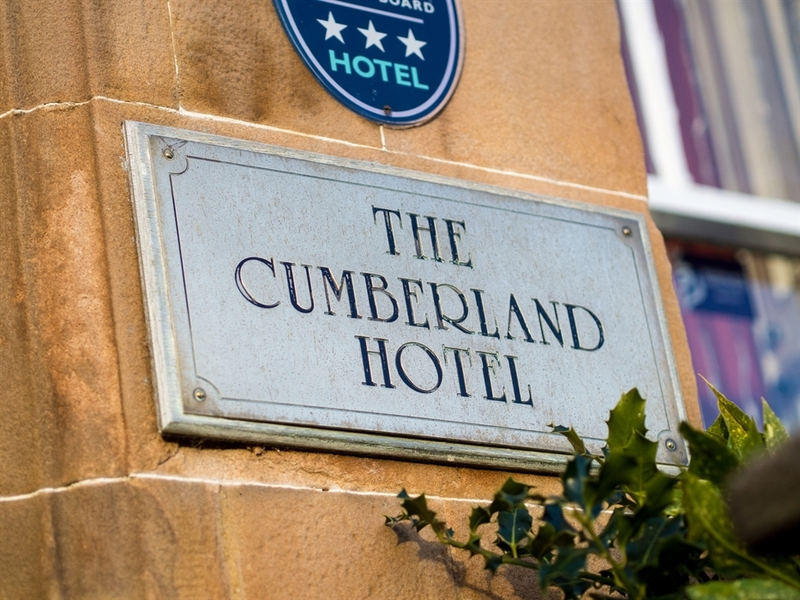 The Cumberland Hotel comprises two 'B' Listed, attractive detached stone Victorian houses of character and architectural interest. 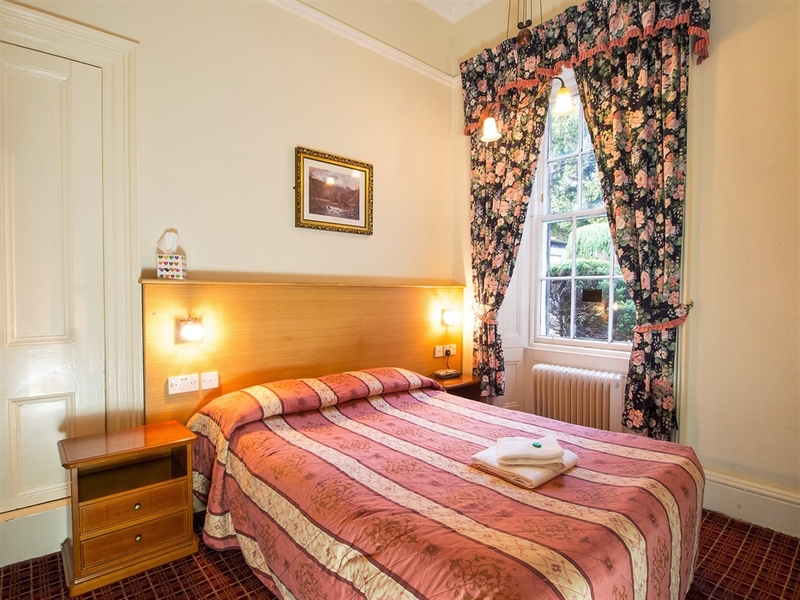 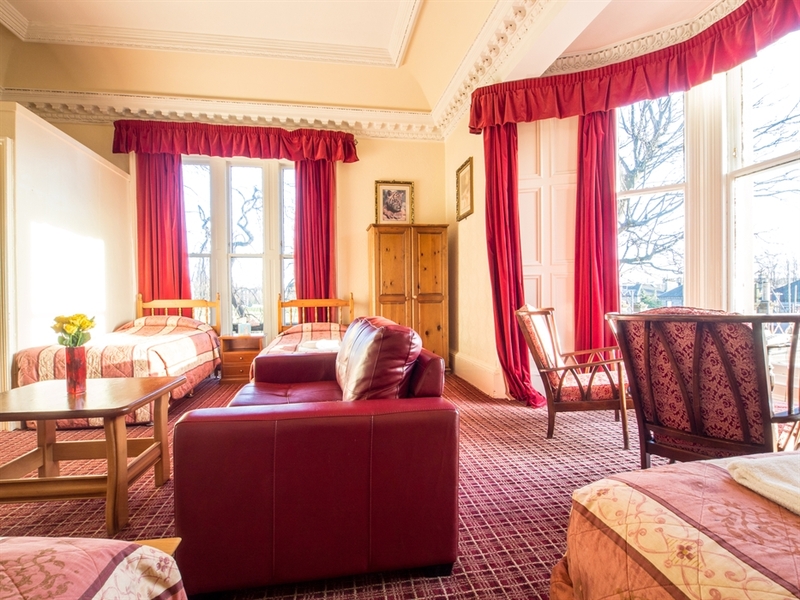 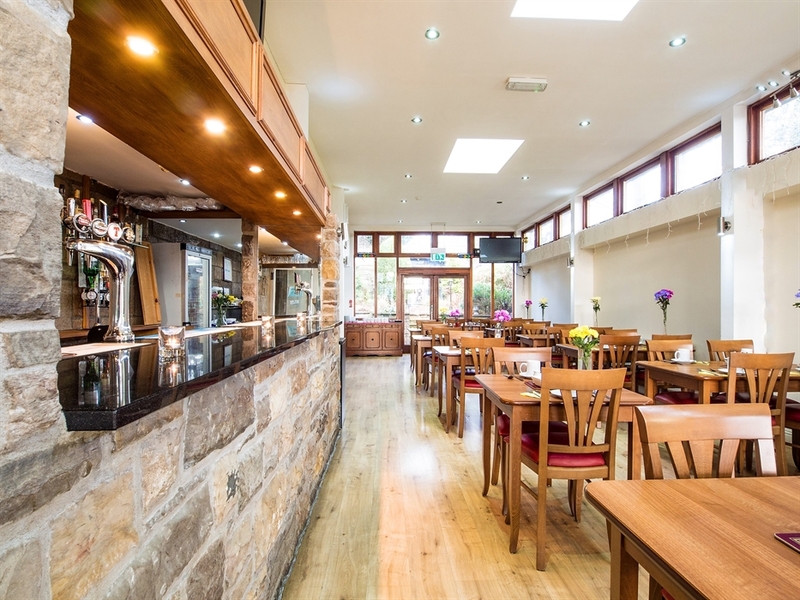 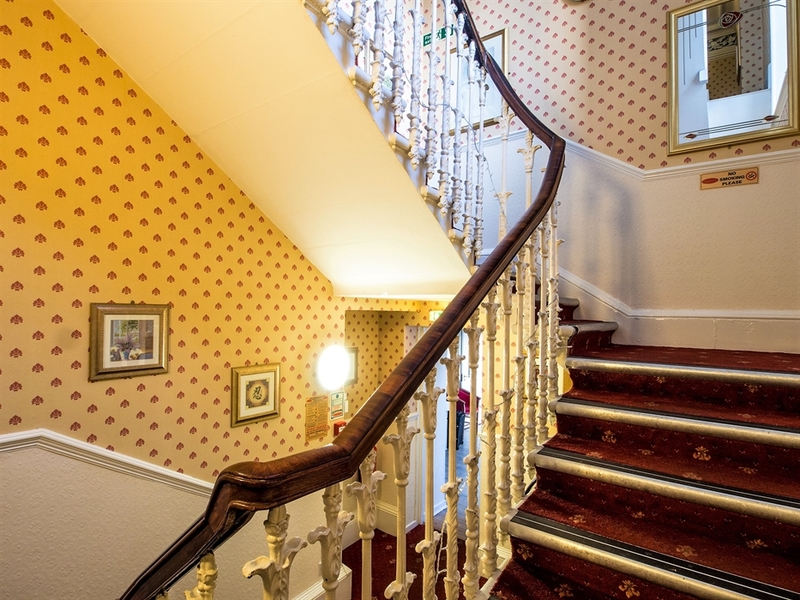 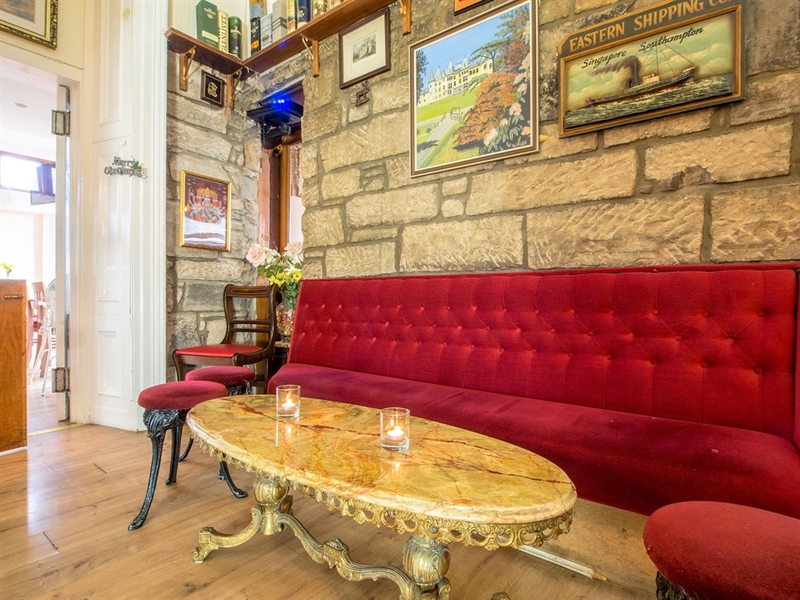 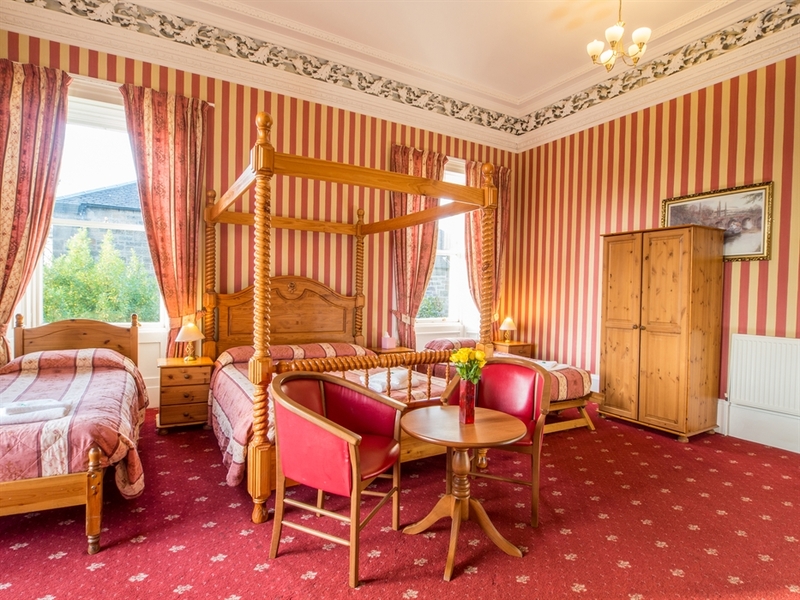 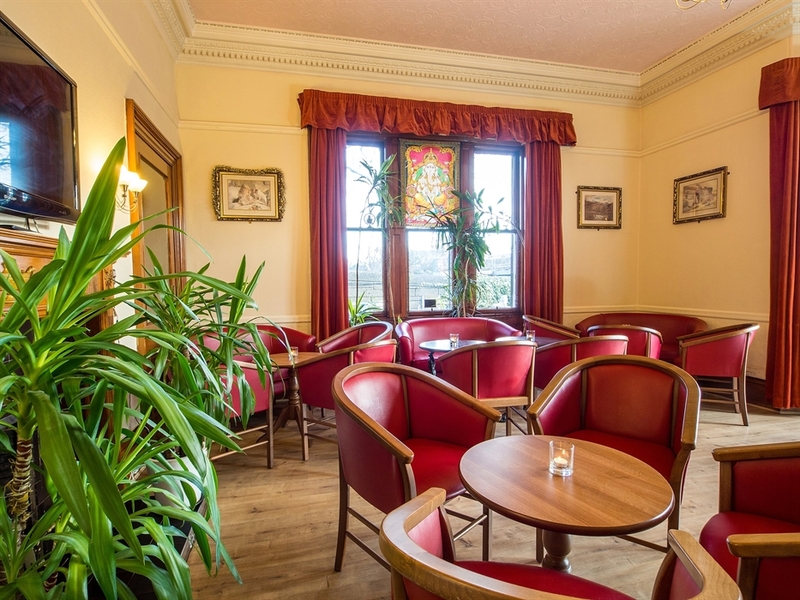 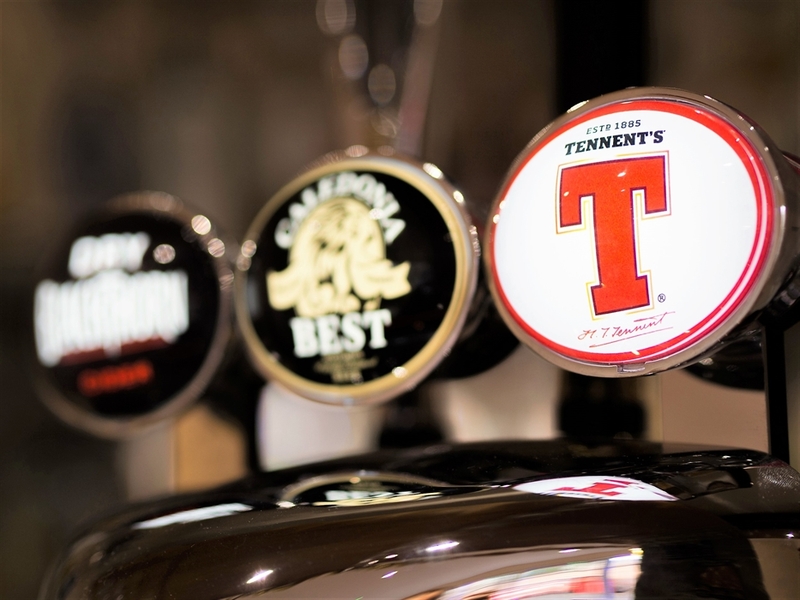 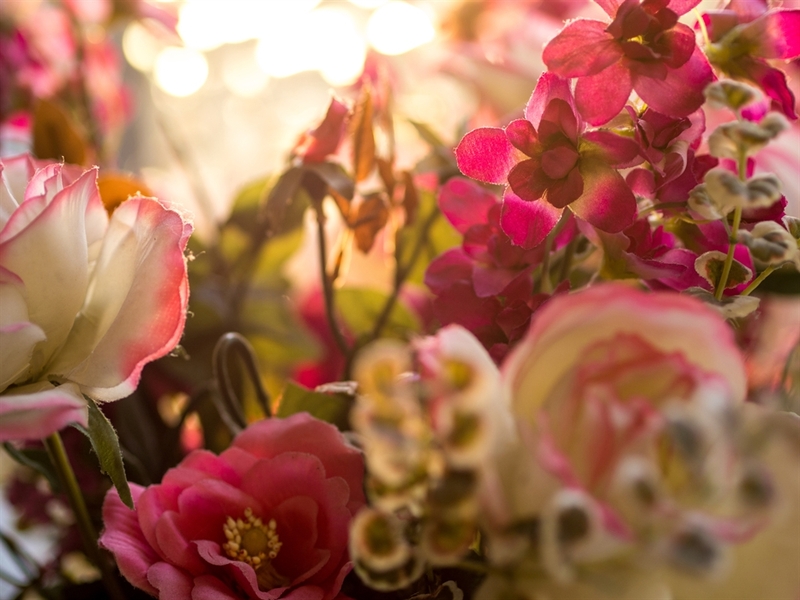 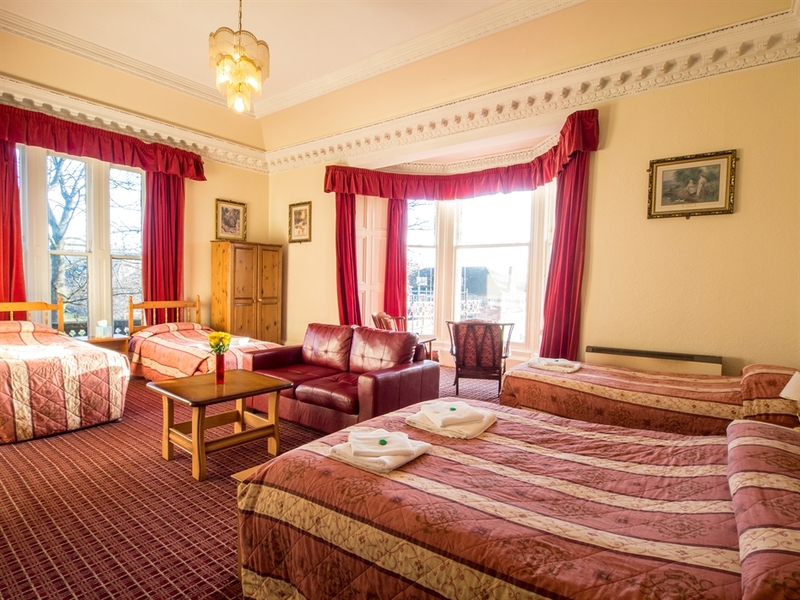 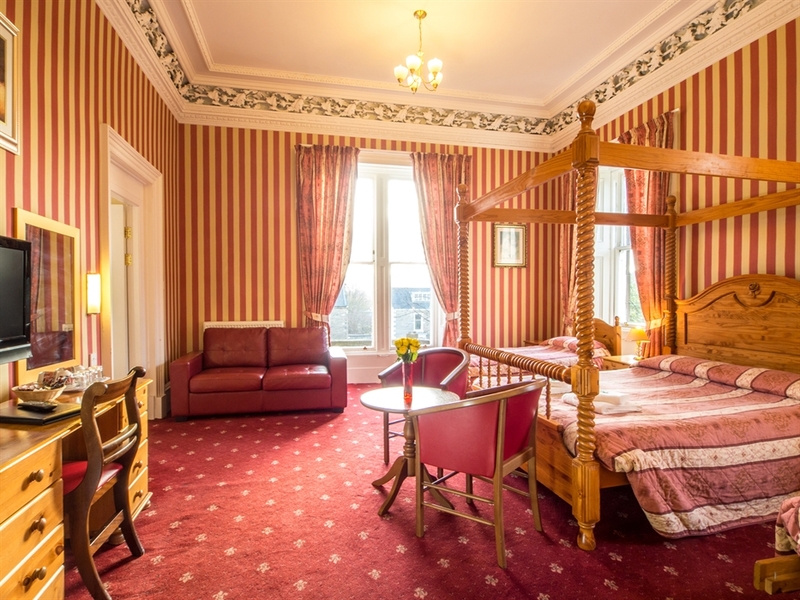 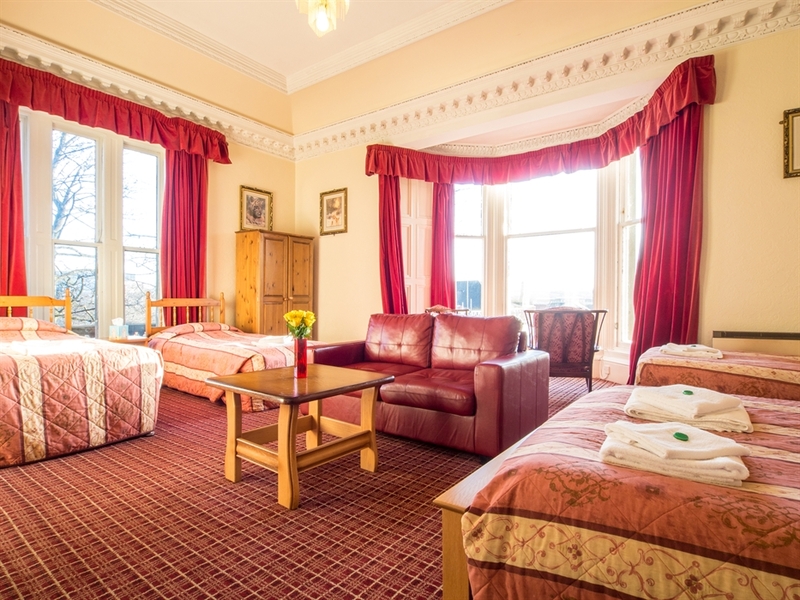 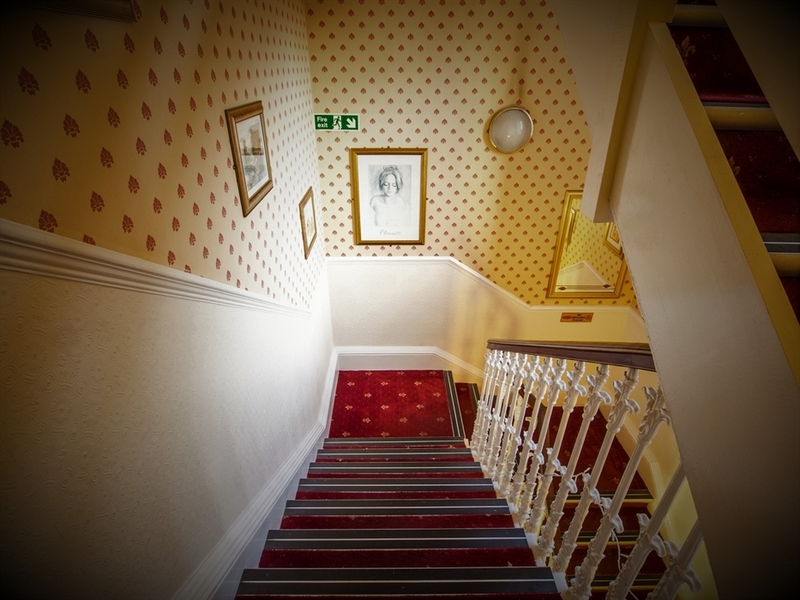 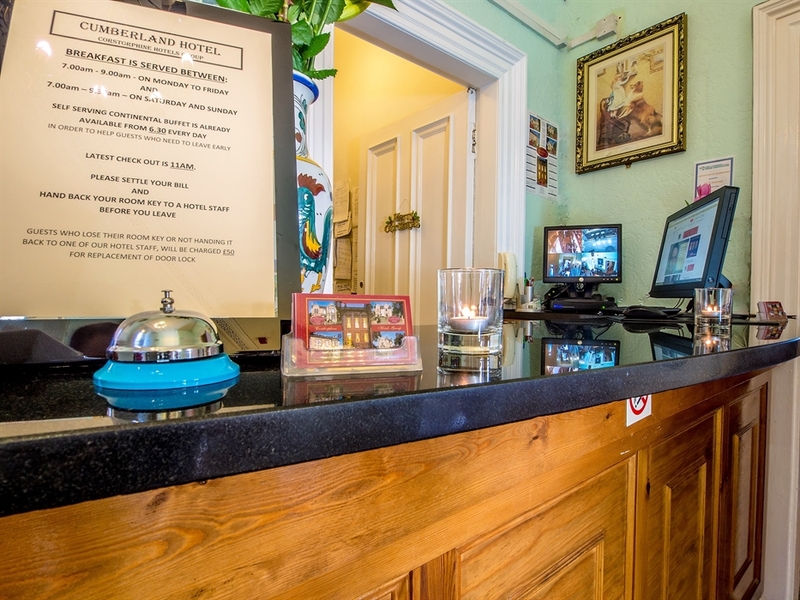 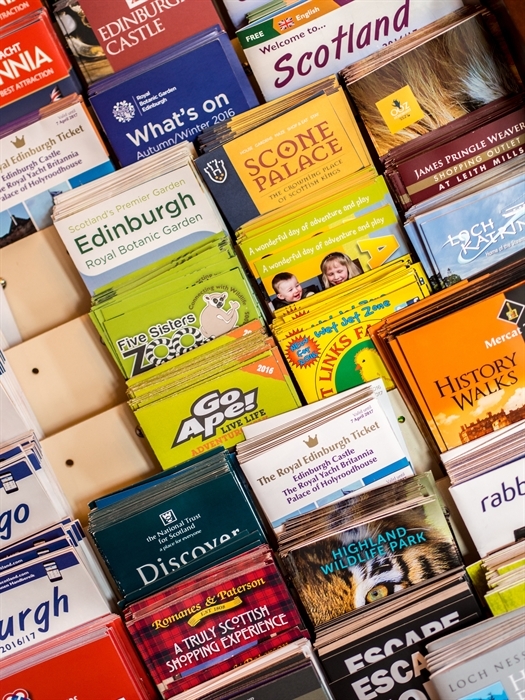 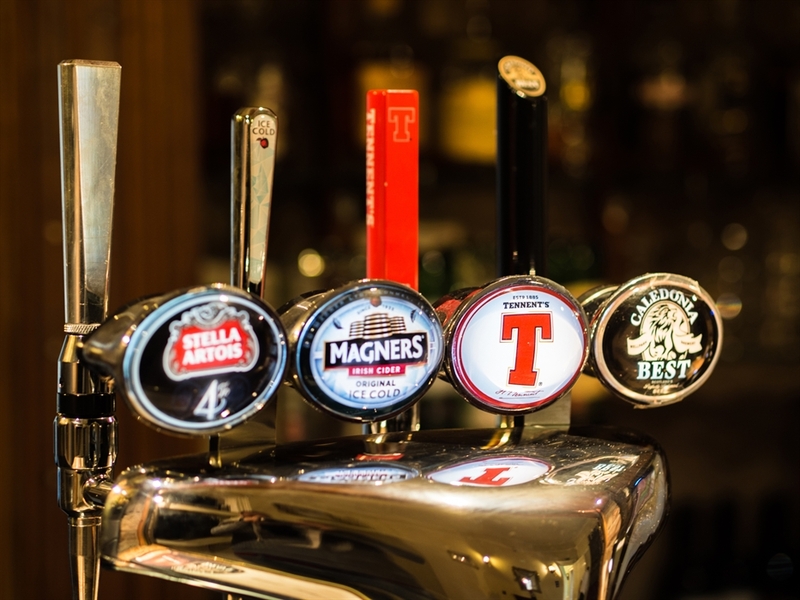 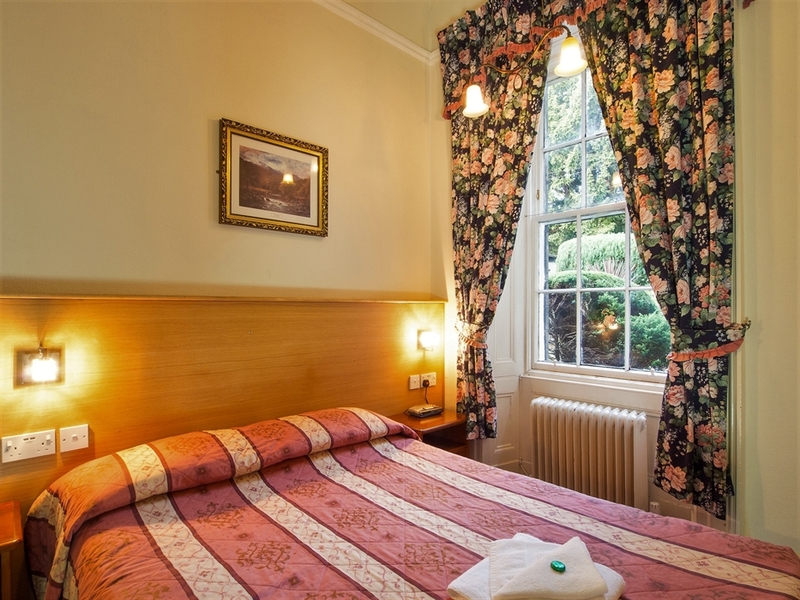 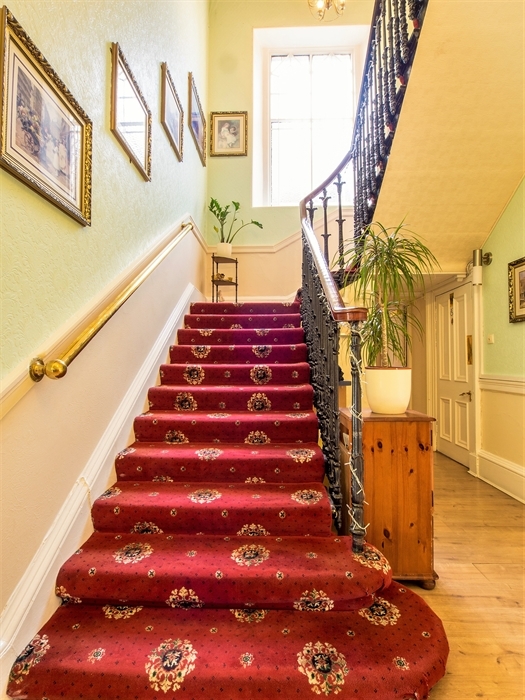 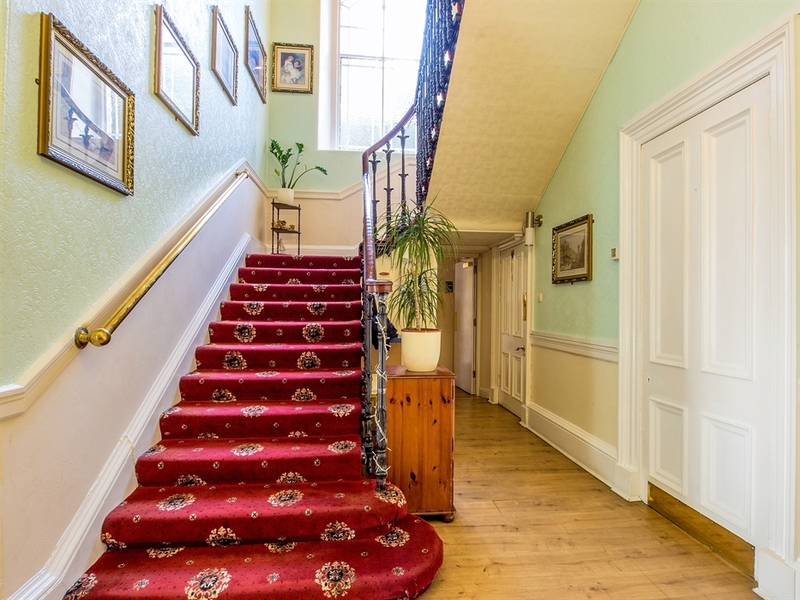 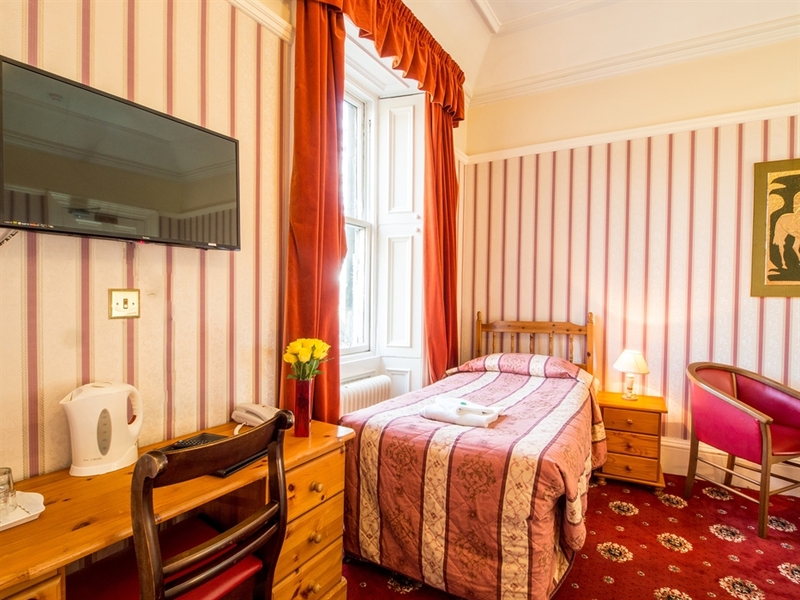 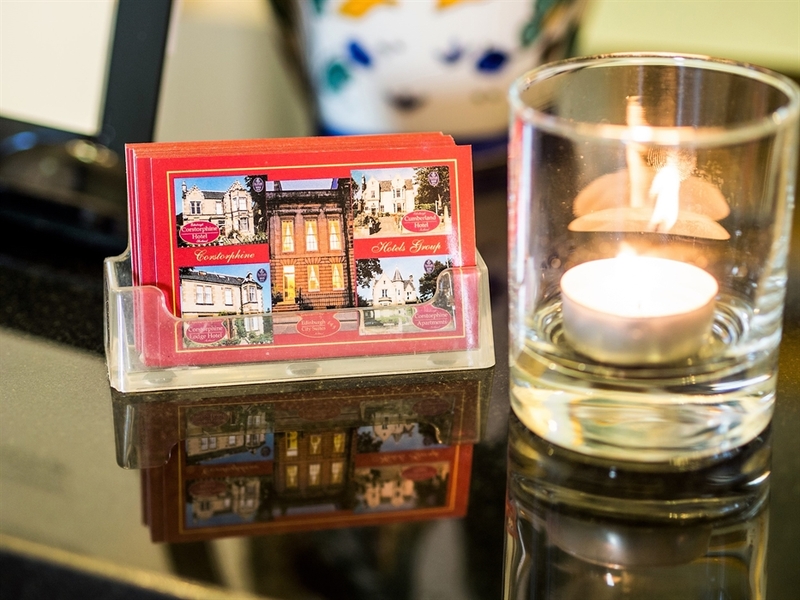 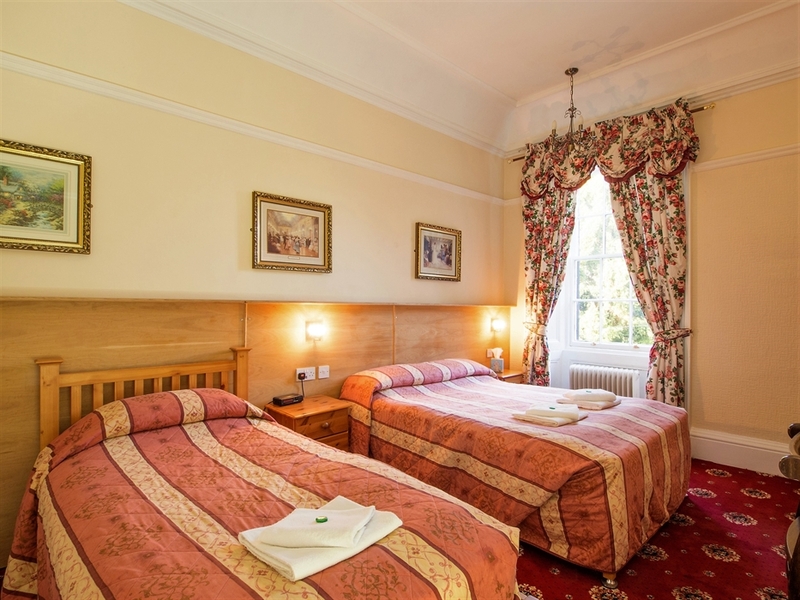 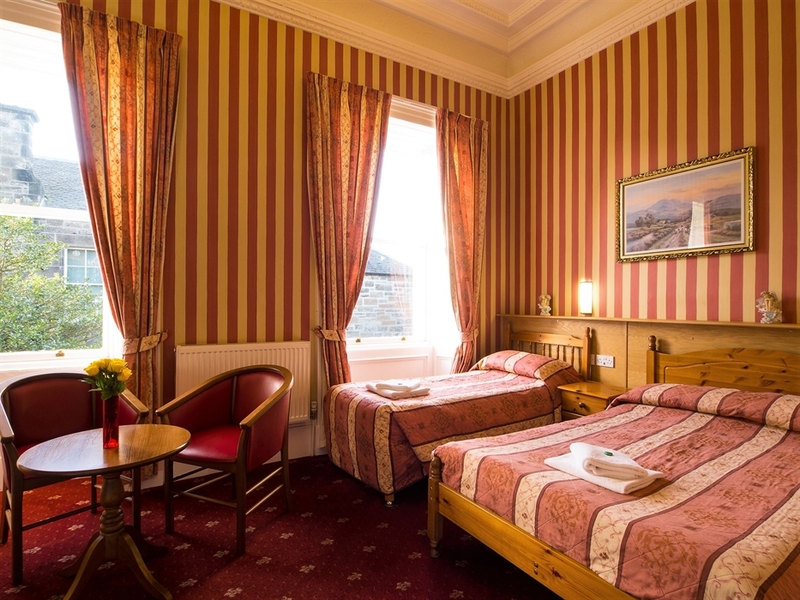 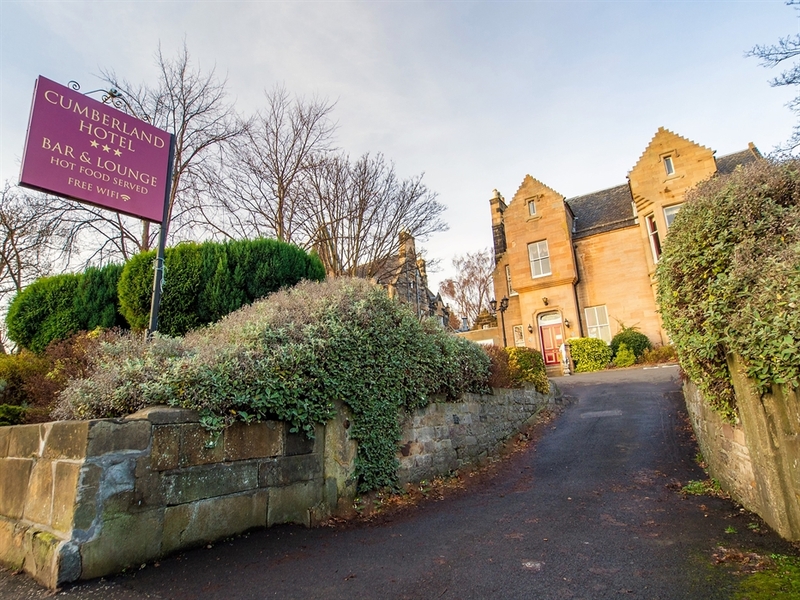 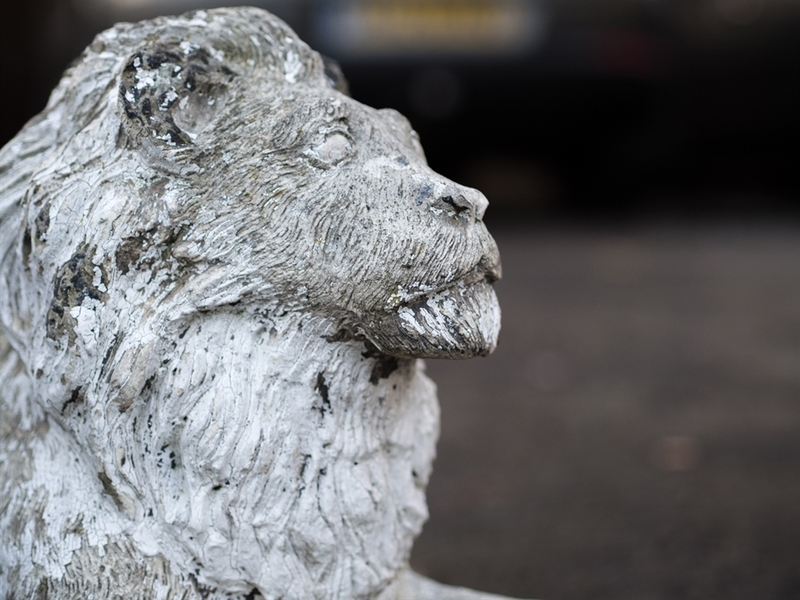 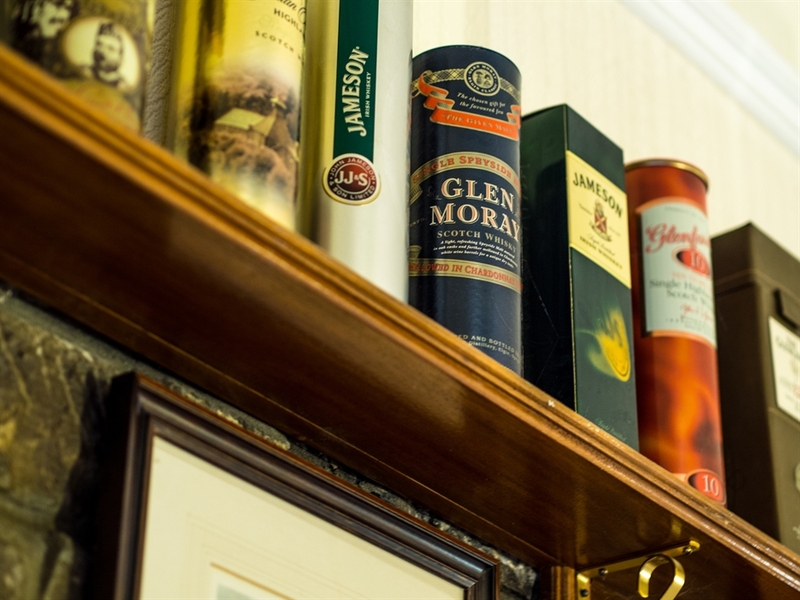 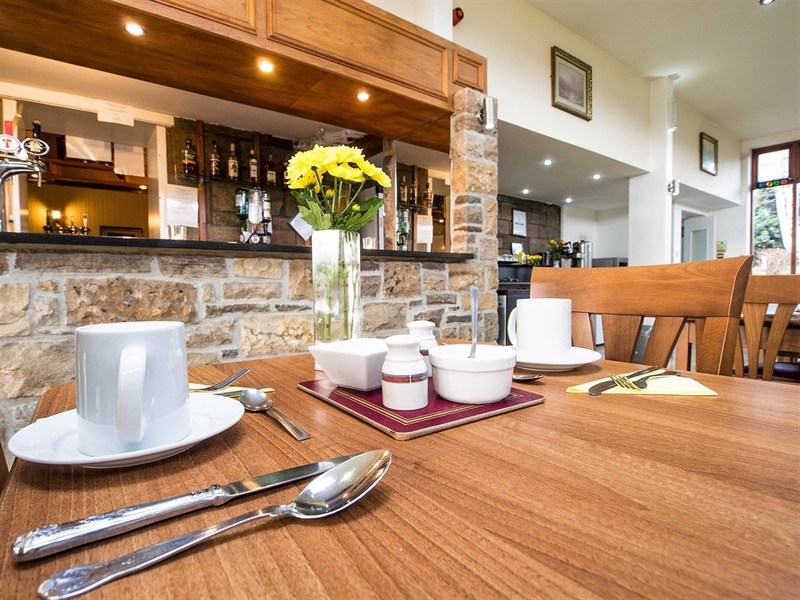 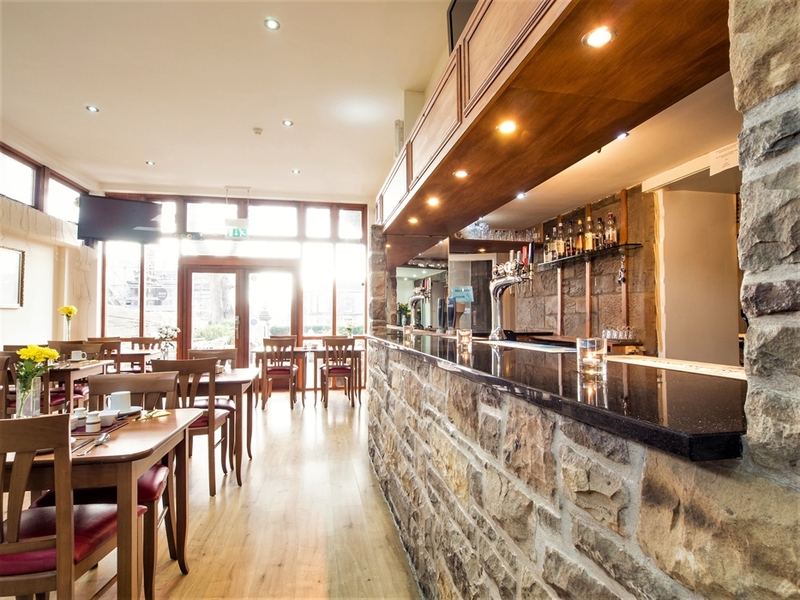 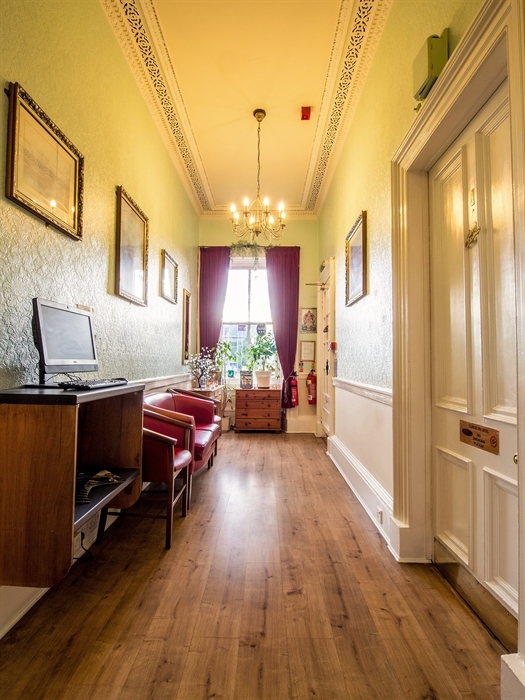 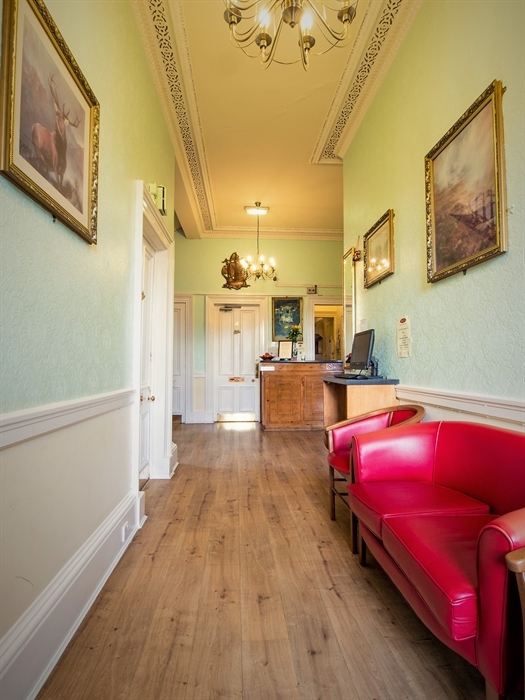 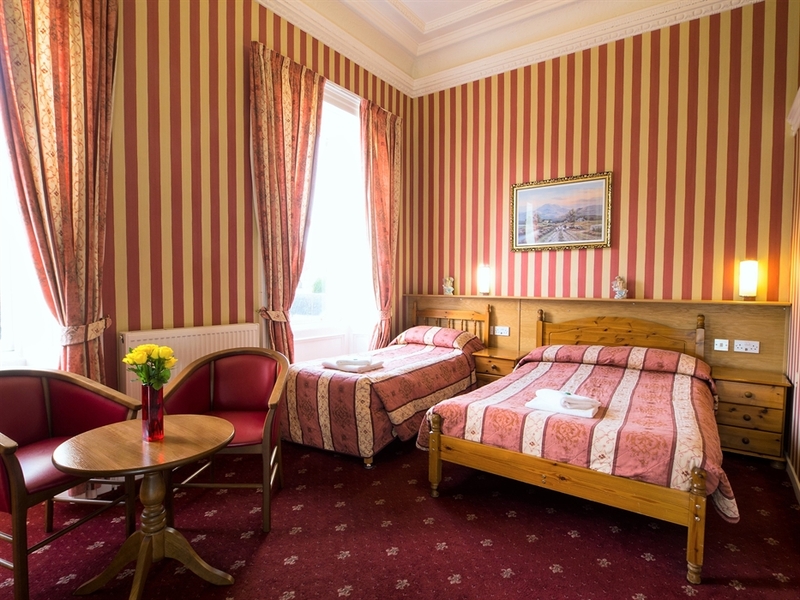 Built in the 1850's, the hotel has been carefully refurbished to retain many of its original features and lies in its own attractive grounds, overlooking the main A8 tourist route into Edinburgh, within 10 minutes' walk from Princes Street and within 10 minutes' drive of Edinburgh Airport. 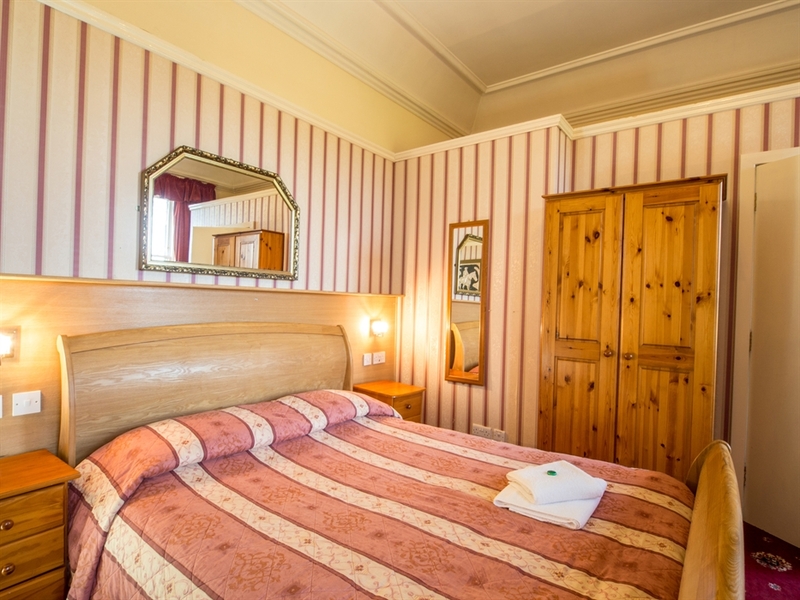 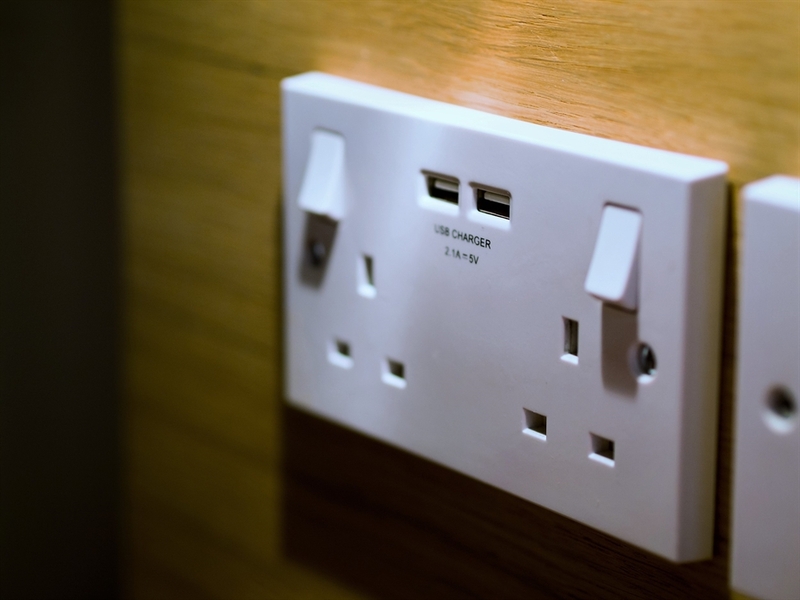 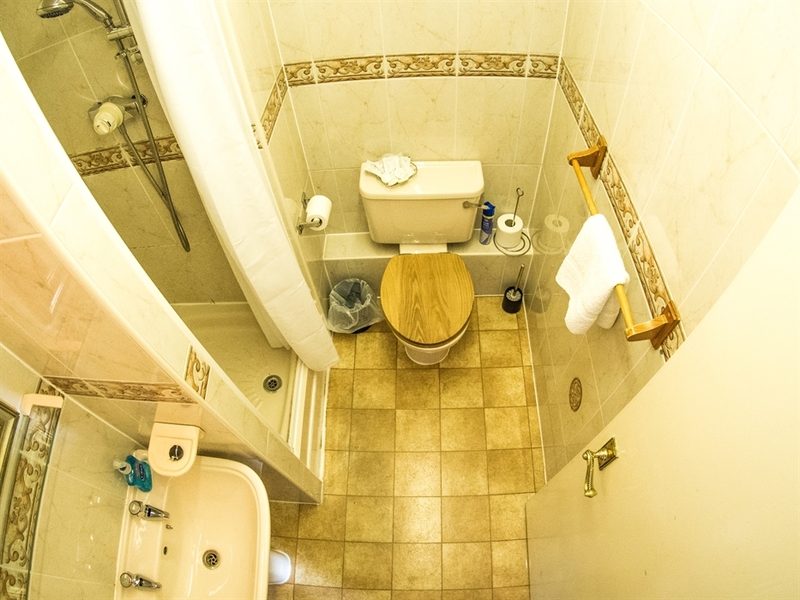 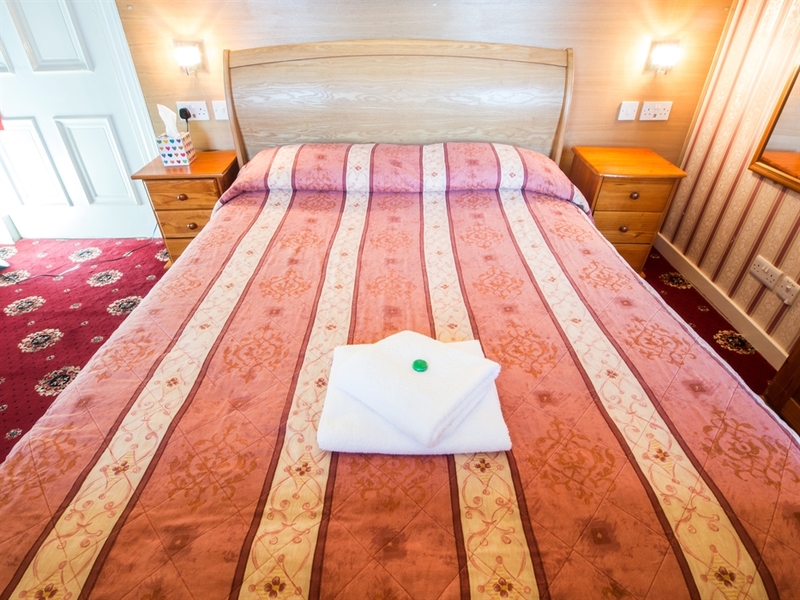 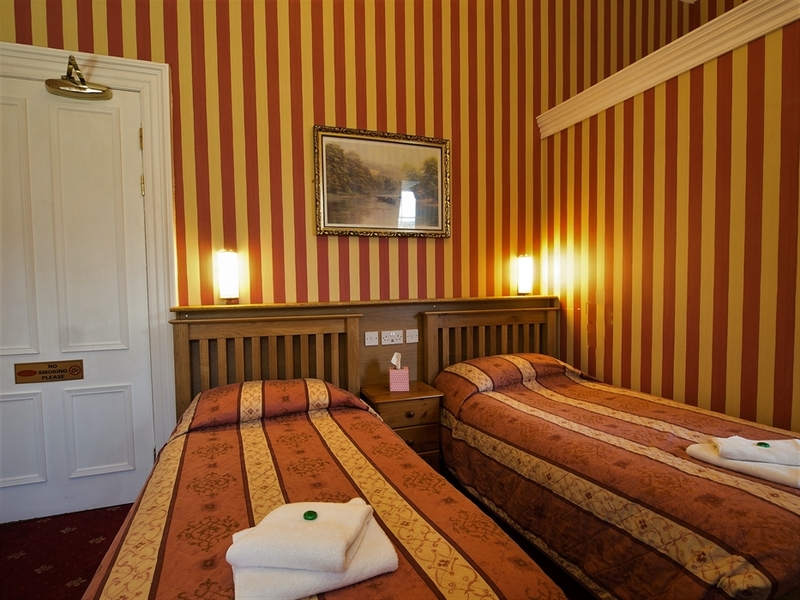 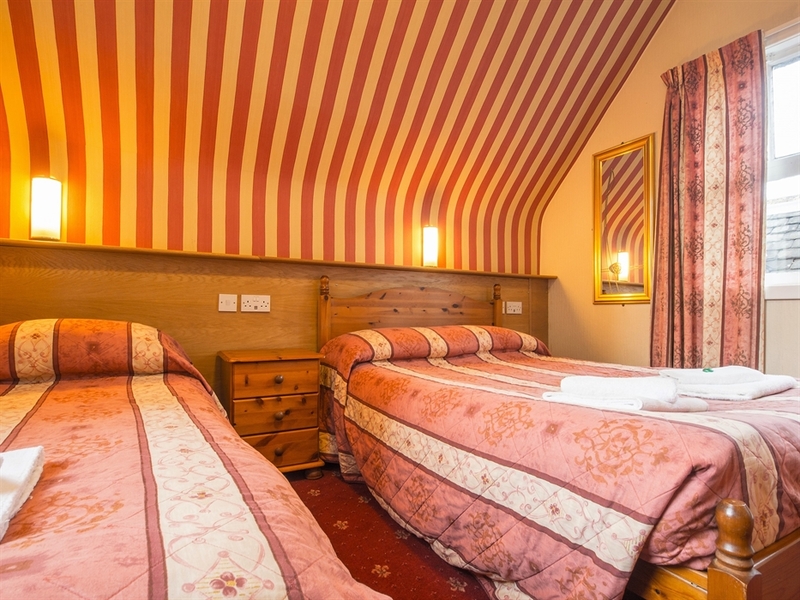 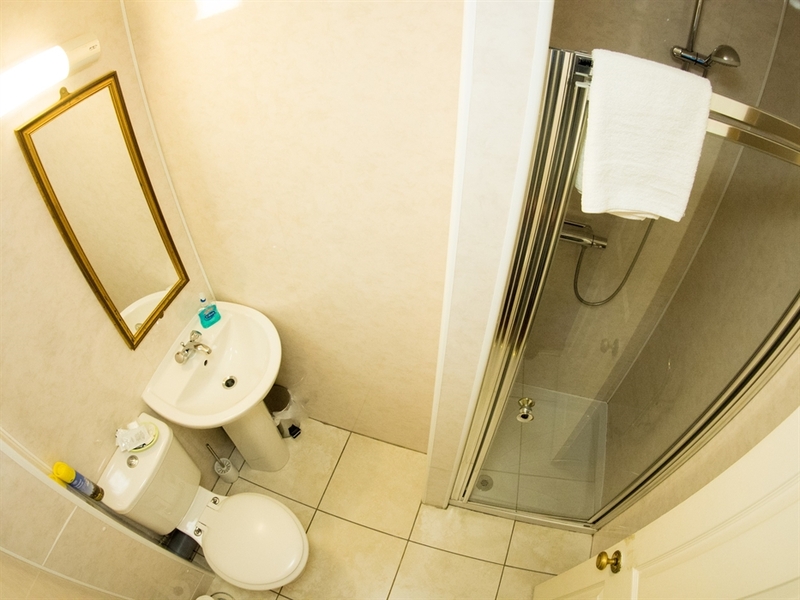 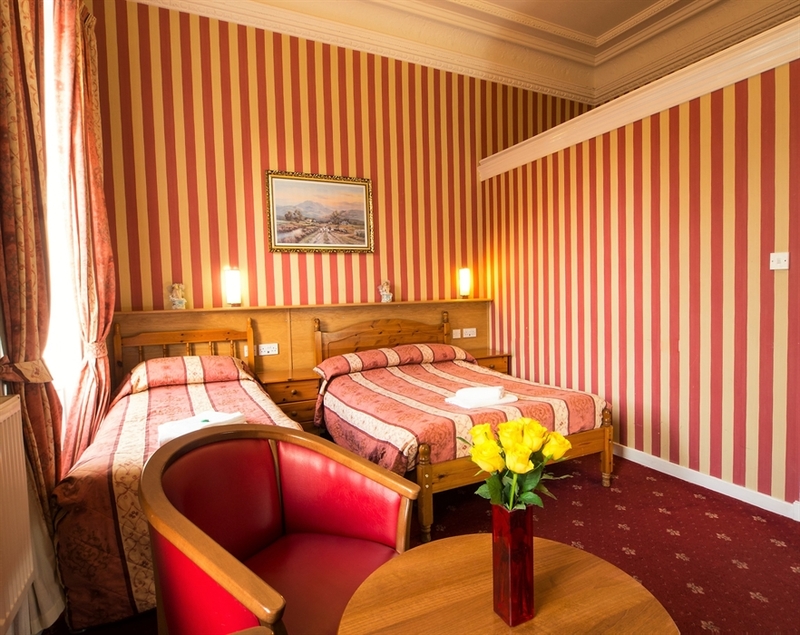 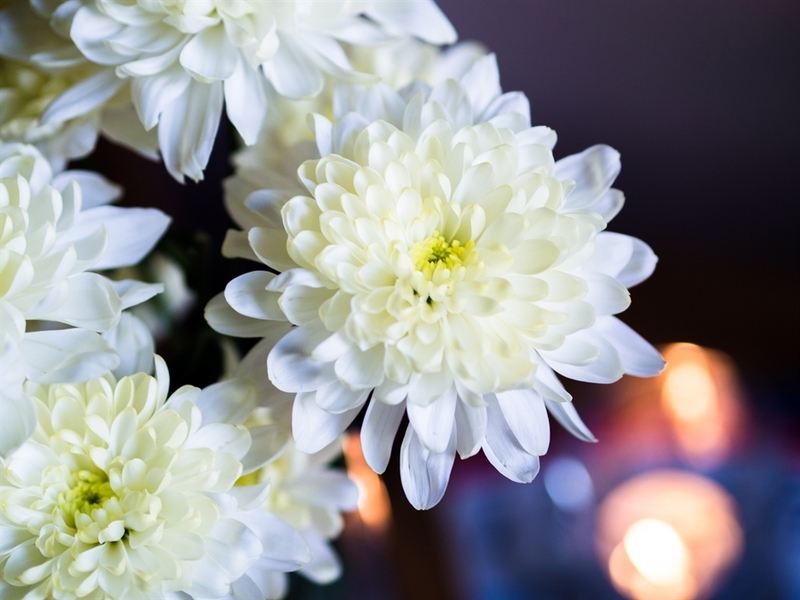 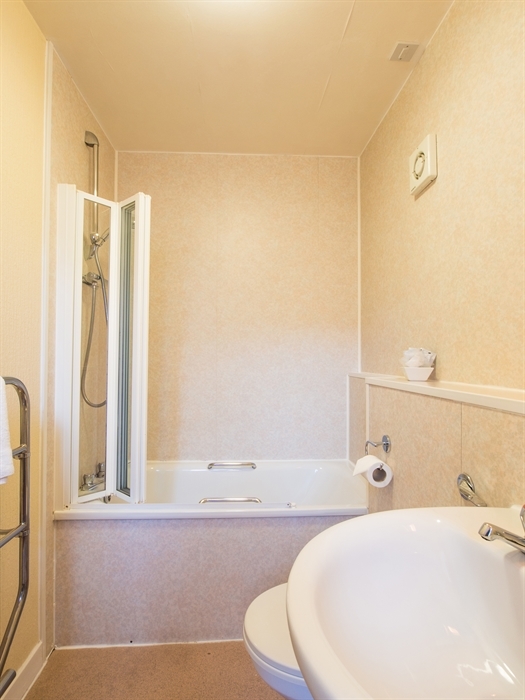 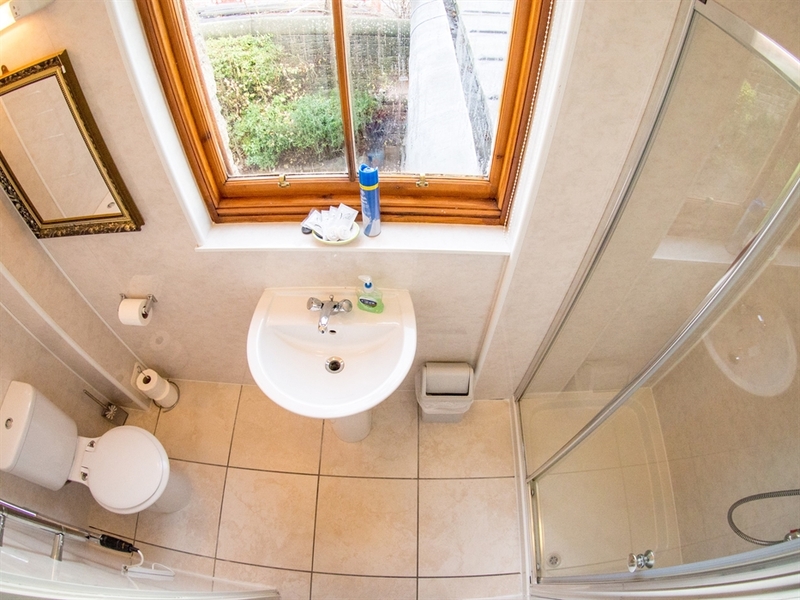 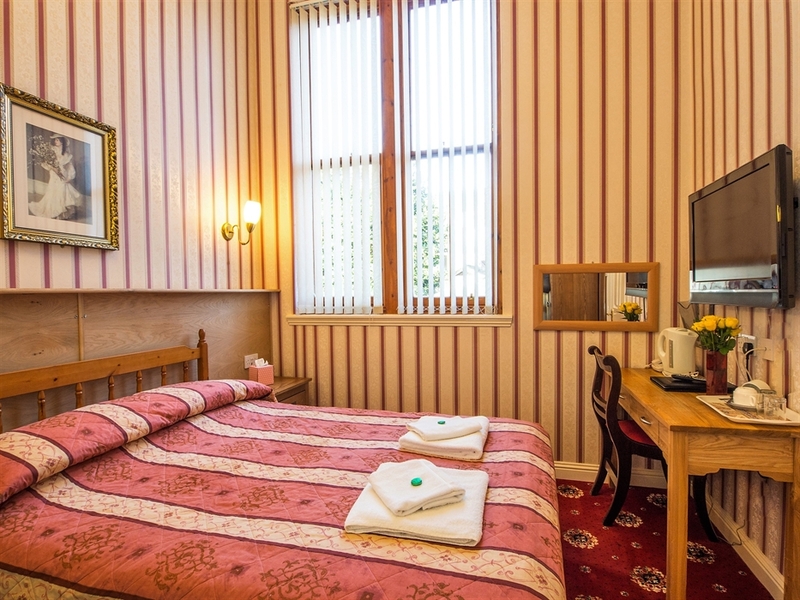 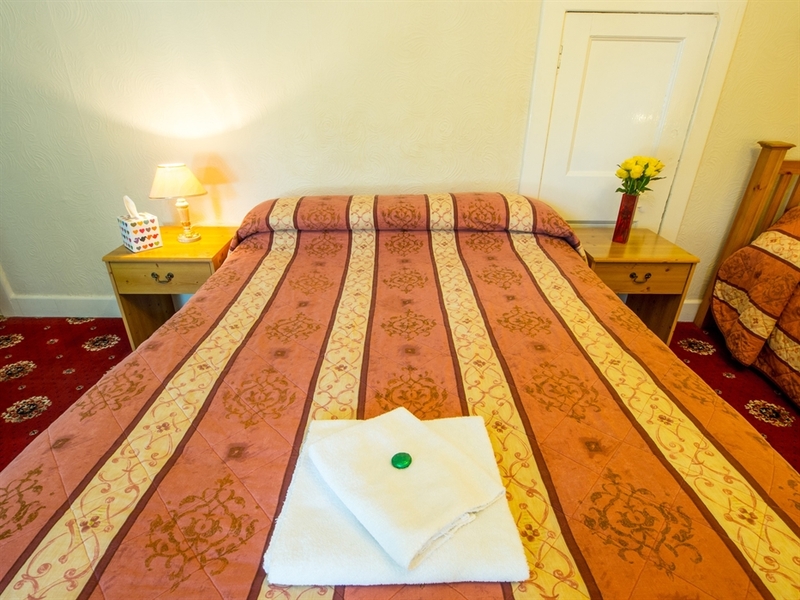 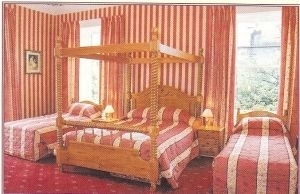 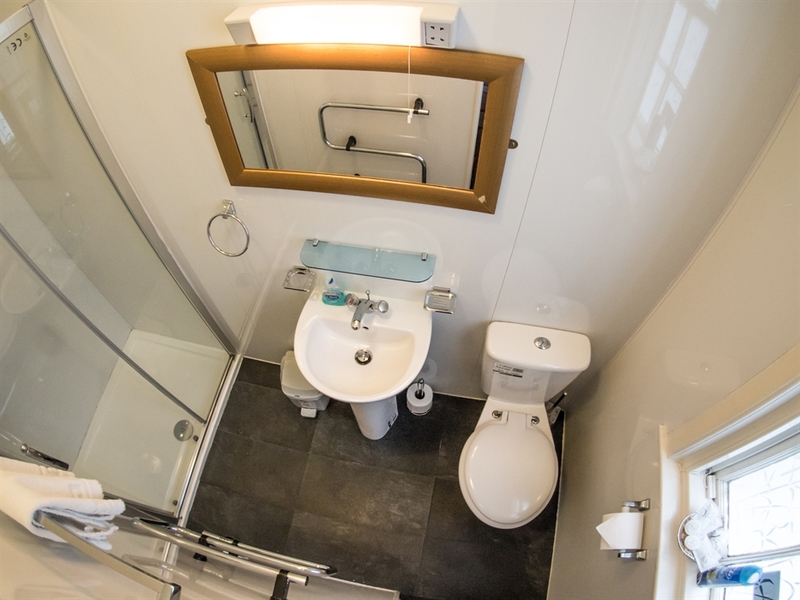 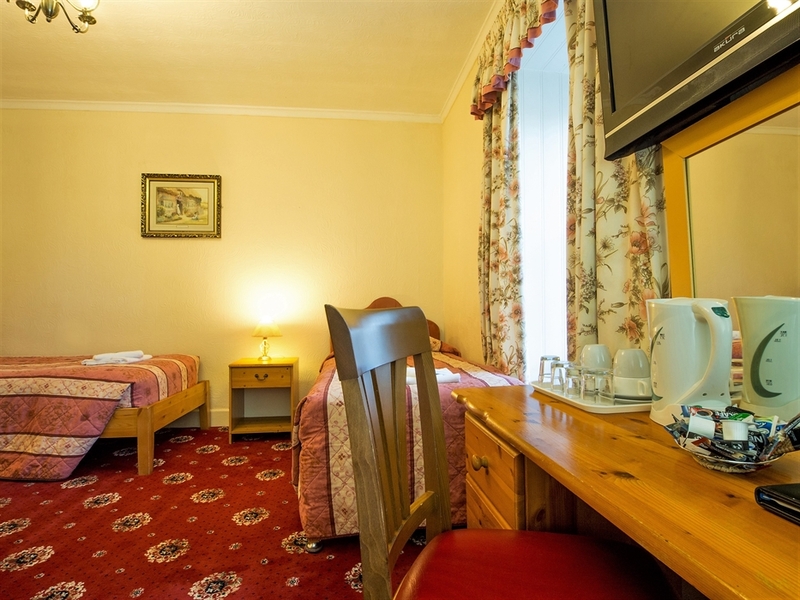 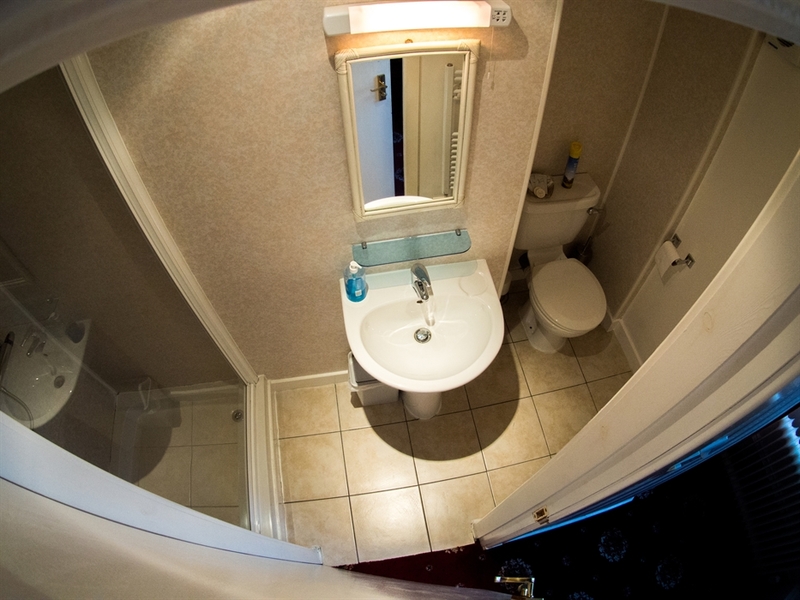 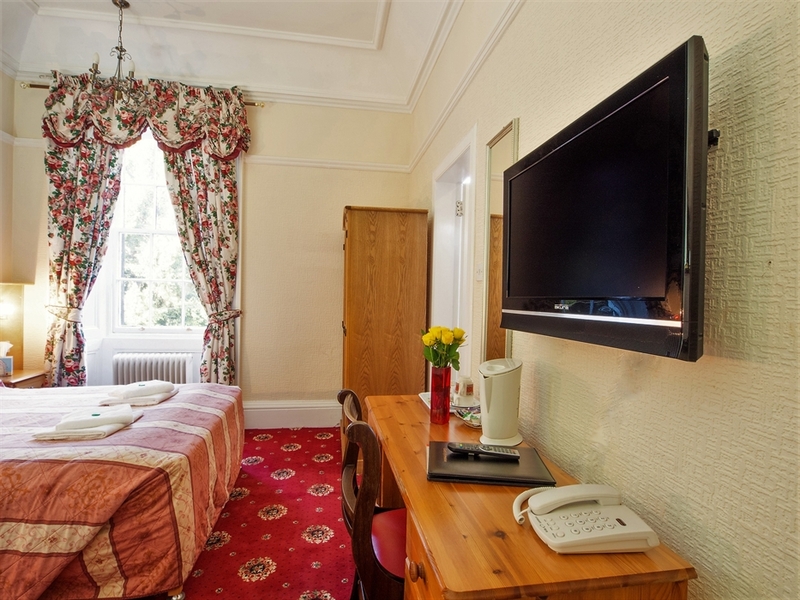 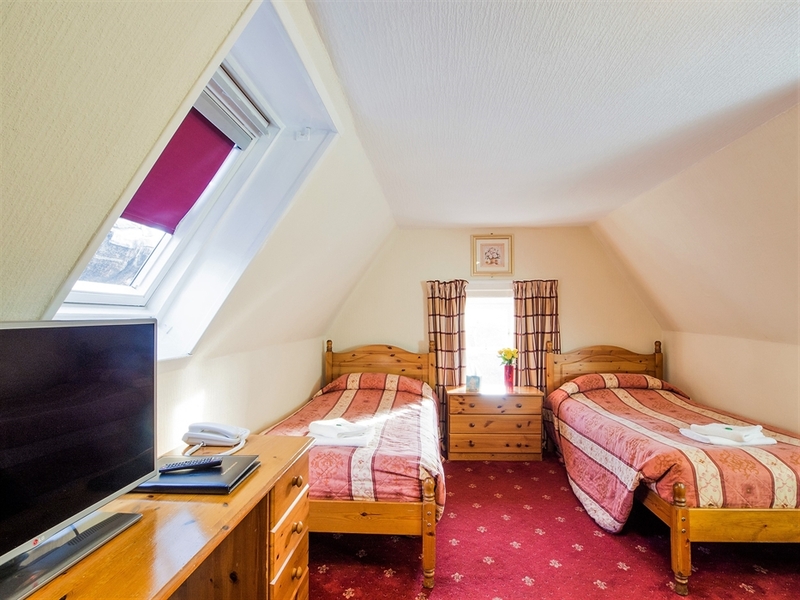 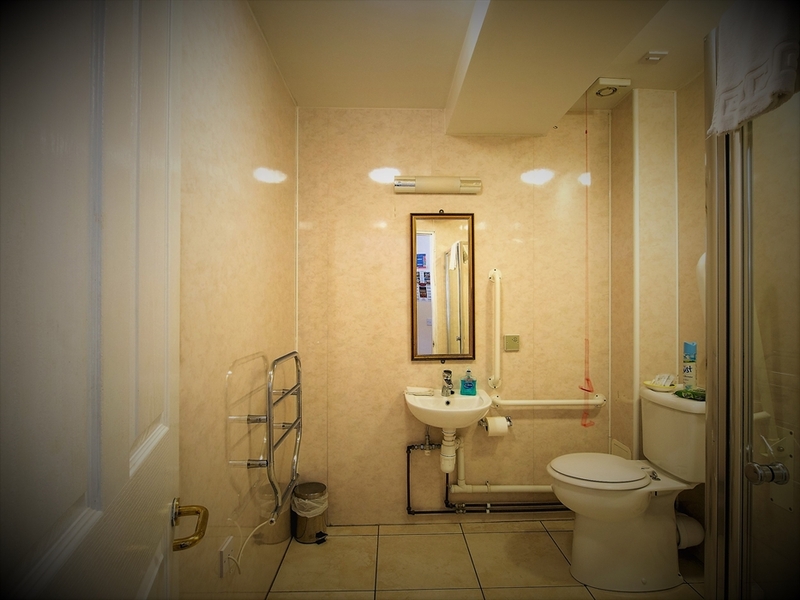 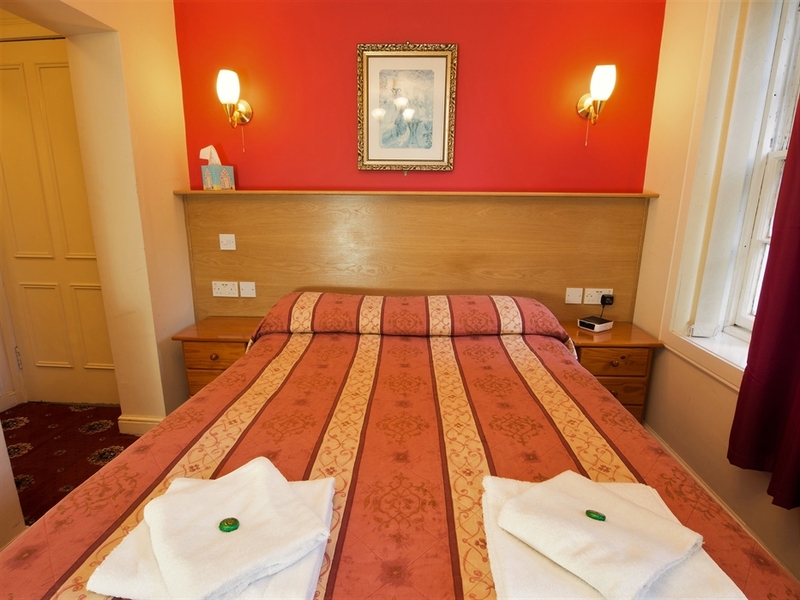 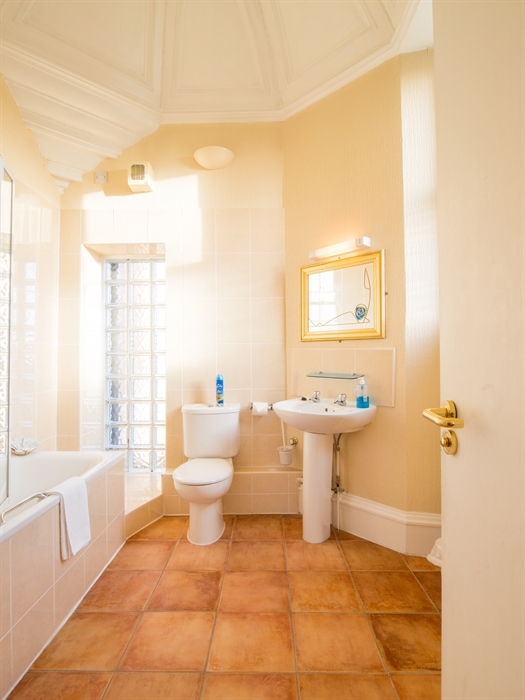 All rooms are ensuite and are tastefully decorated to a very high standard. 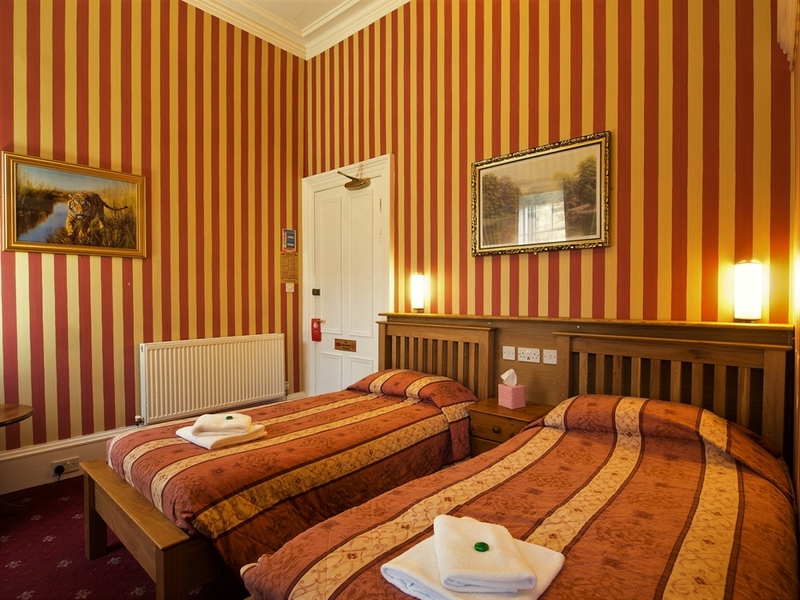 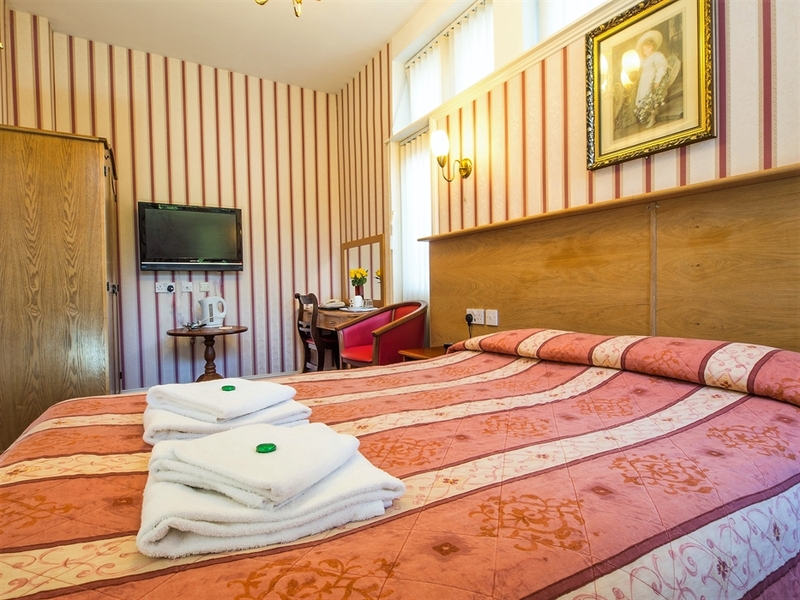 Superior rooms, with bath and shower are available and our Large Four Poster Bed Suite offers superb views of the Pentland Hills. 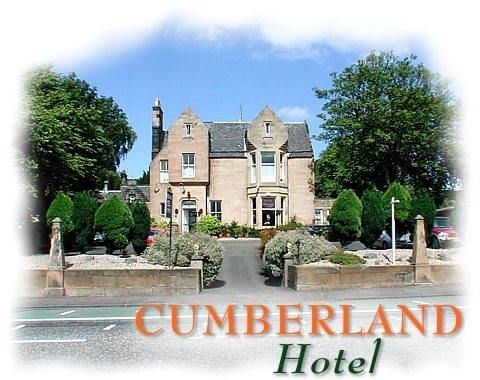 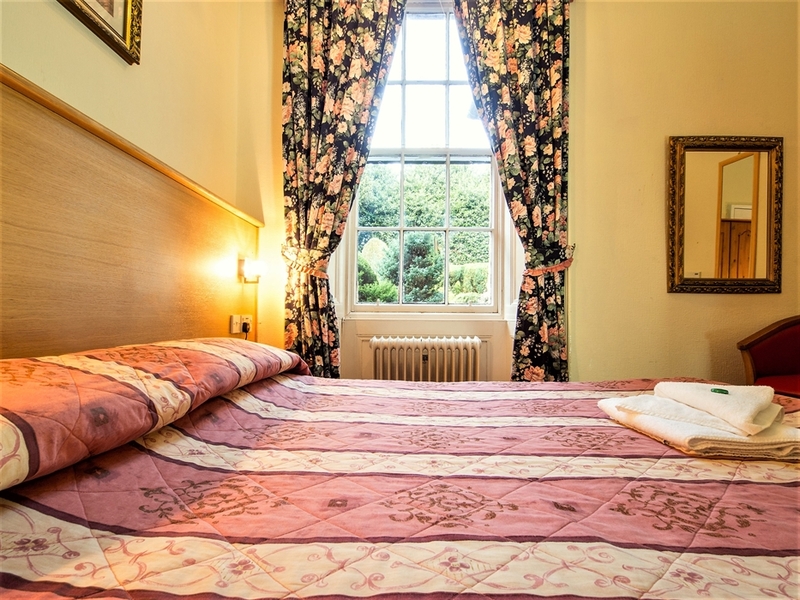 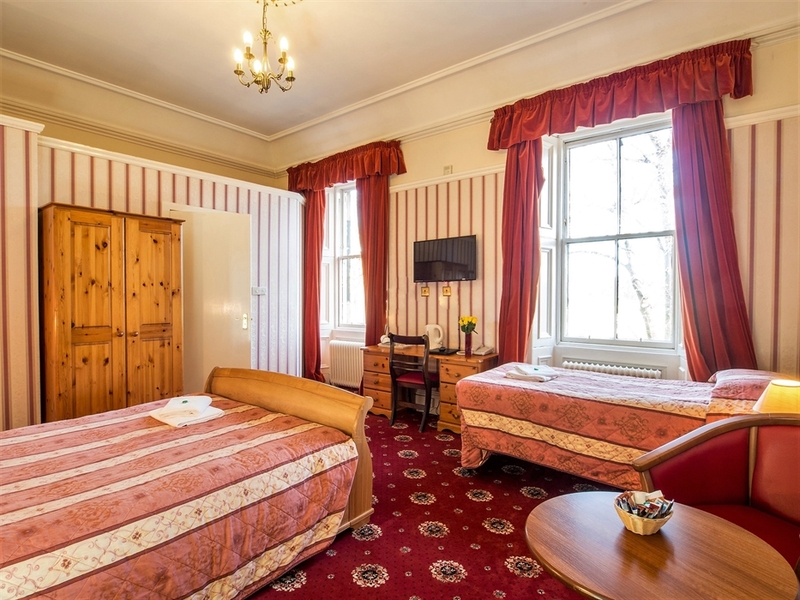 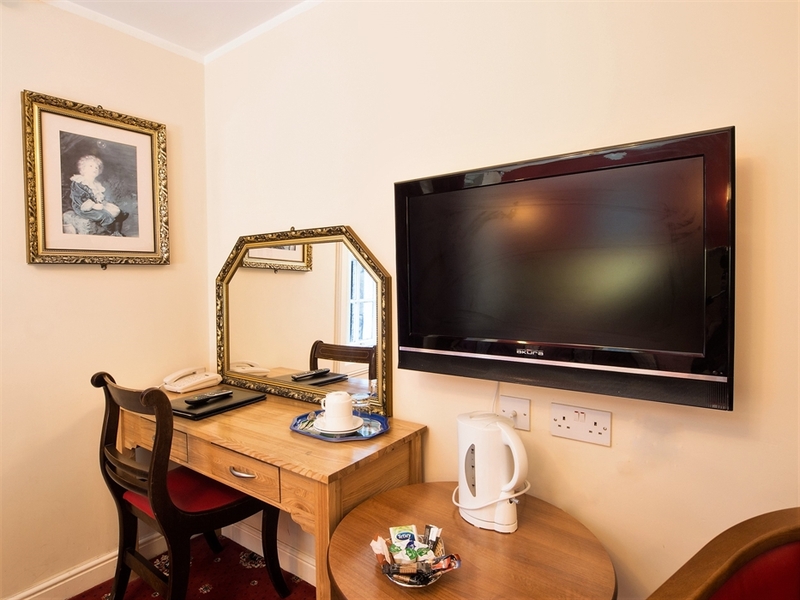 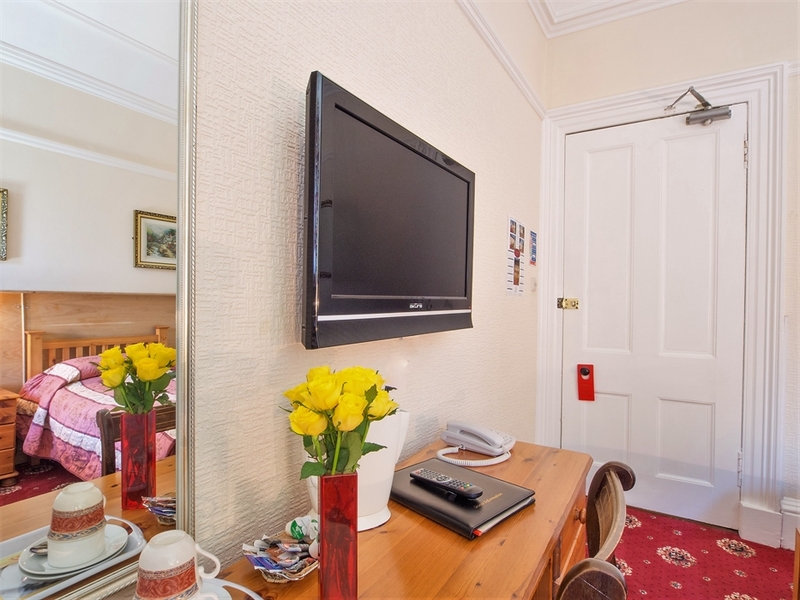 Cumberland is family friendly, offering large Suites or bedrooms which can accommodate up to 6 persons. 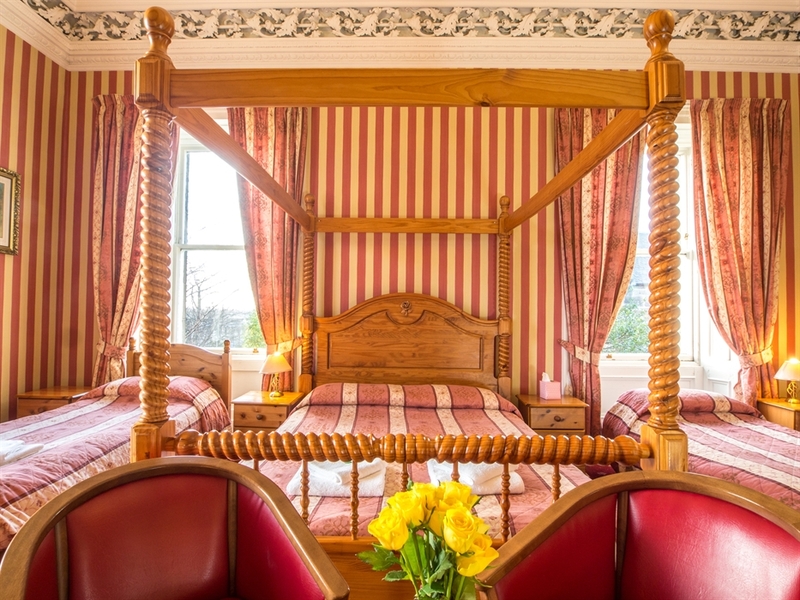 This elegant family run hotel offers personal service to visitors in an effort to make you feel the comfort of your own home. 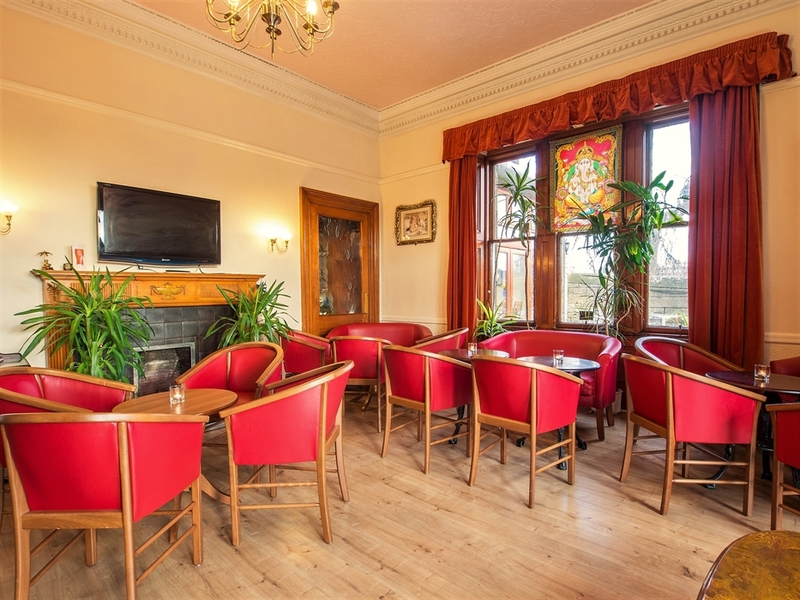 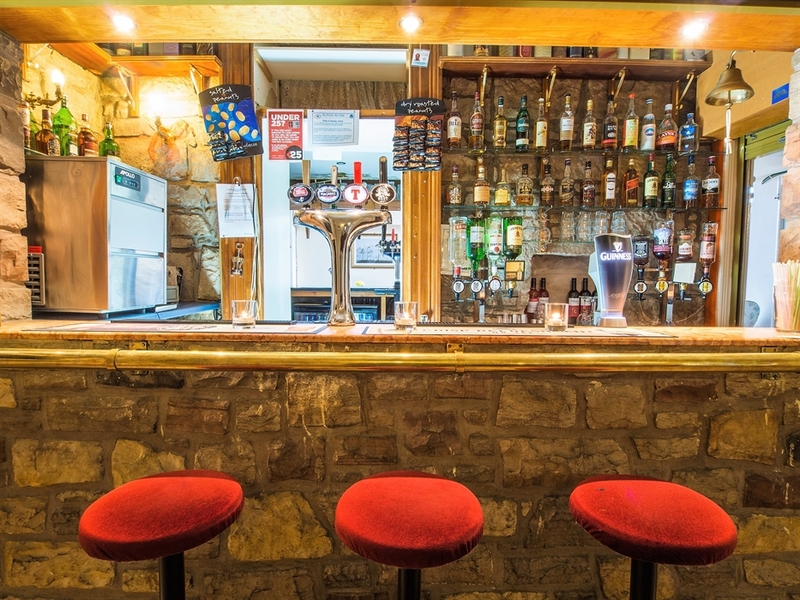 The hotel boasts of a charming cocktail bar and a Residents Lounge allowing guests to sip a drink or simply enjoy the relaxing music after a hard day of sight seeing or business dealings. 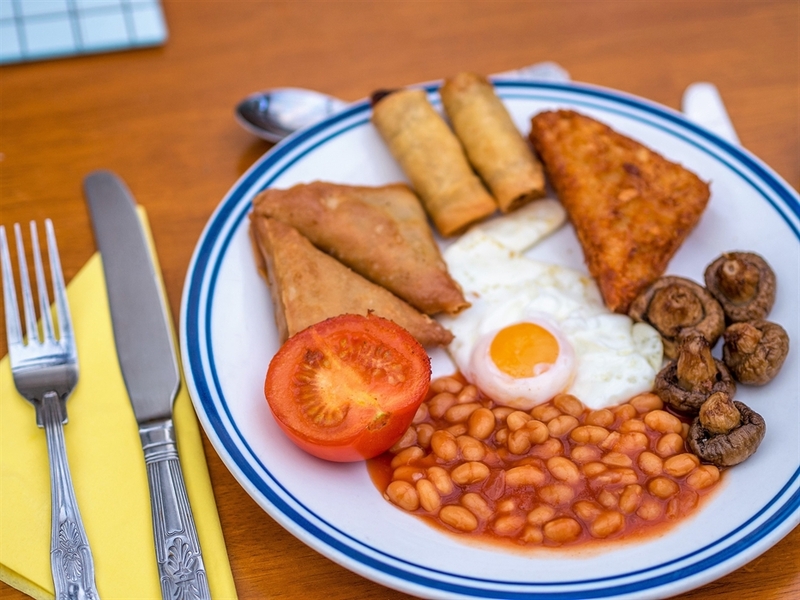 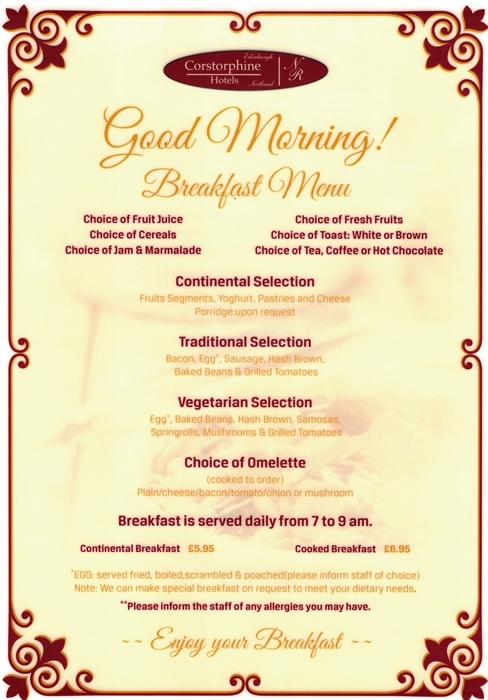 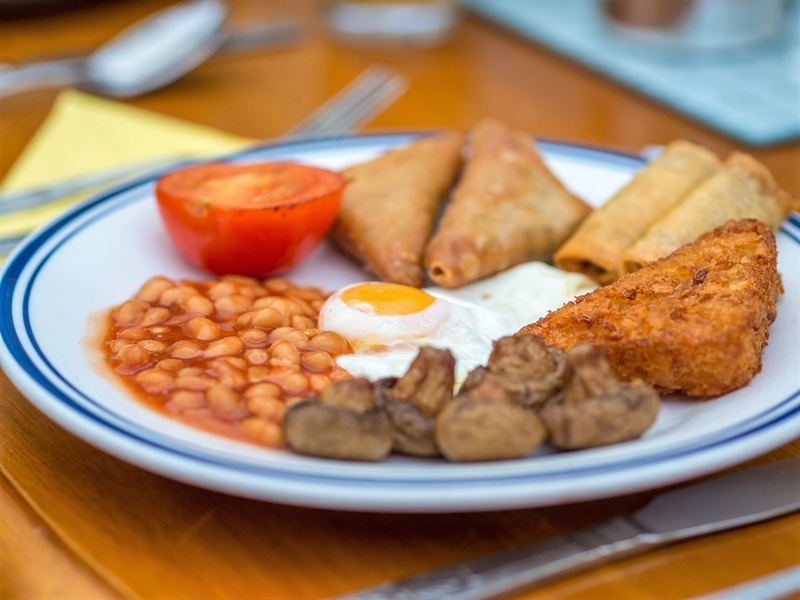 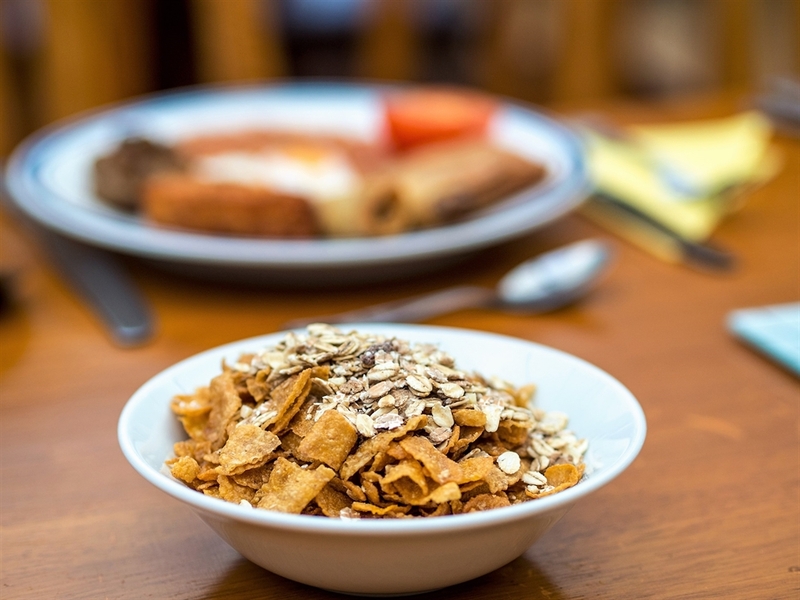 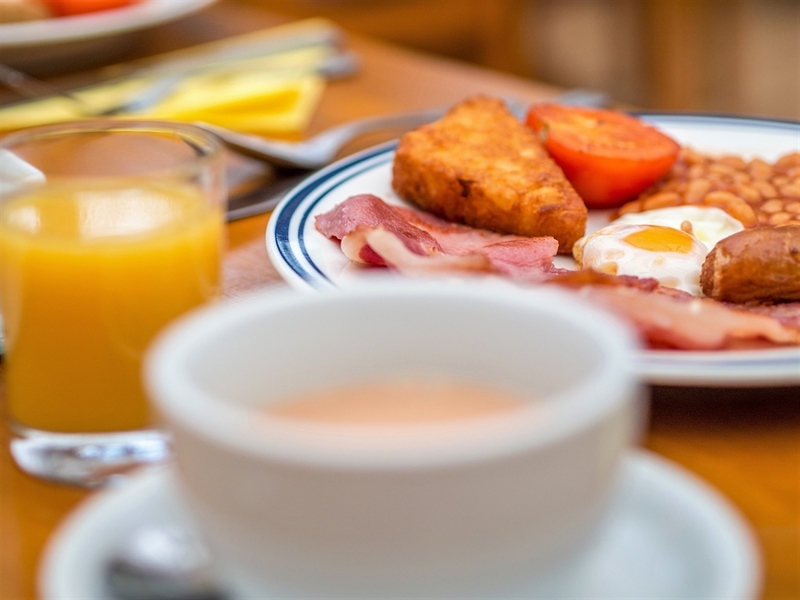 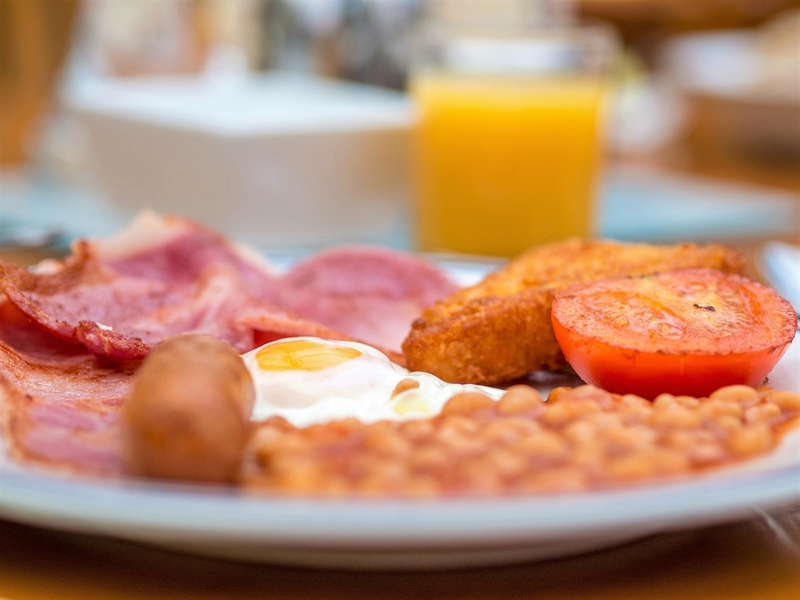 Guests have a wide choice of breakfast, Traditional Cooked, Full Continental or vegetarian options. 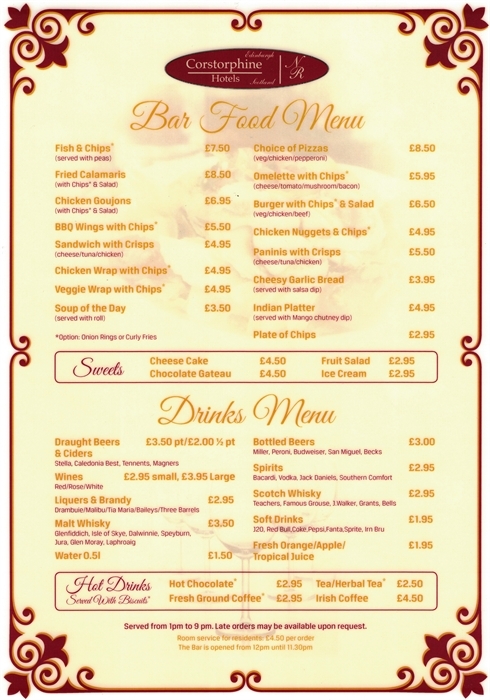 The hotel also caters for special diets. 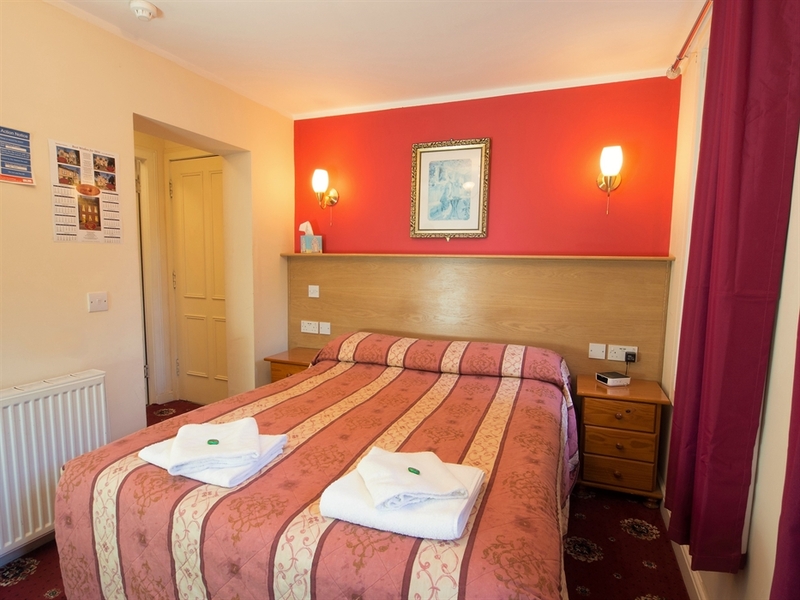 Close to the Hotel are many restaurants, bars, shops and all the facilities of the city centre. 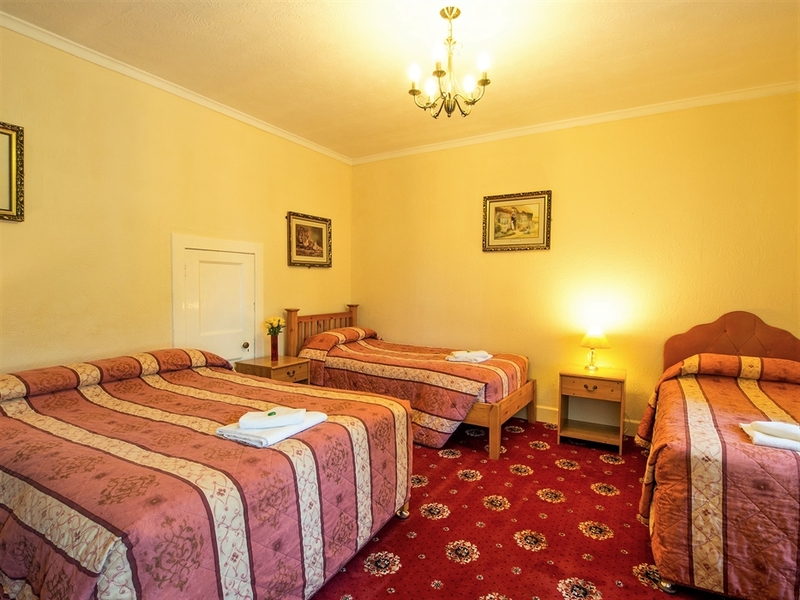 There is ample free private parking within the grounds of the hotel.